Welcome to the VUSD Wellness Council! Welcome back to a new healthy school year! * Get moving! Schedule time for physical activity. * Encourage (require) healthy snacks. * Ask children what they ate for breakfast and lunch. What fruits and vegetables did they eat? * Make your home and classroom a health-promoting environment, you will benefit from it too! 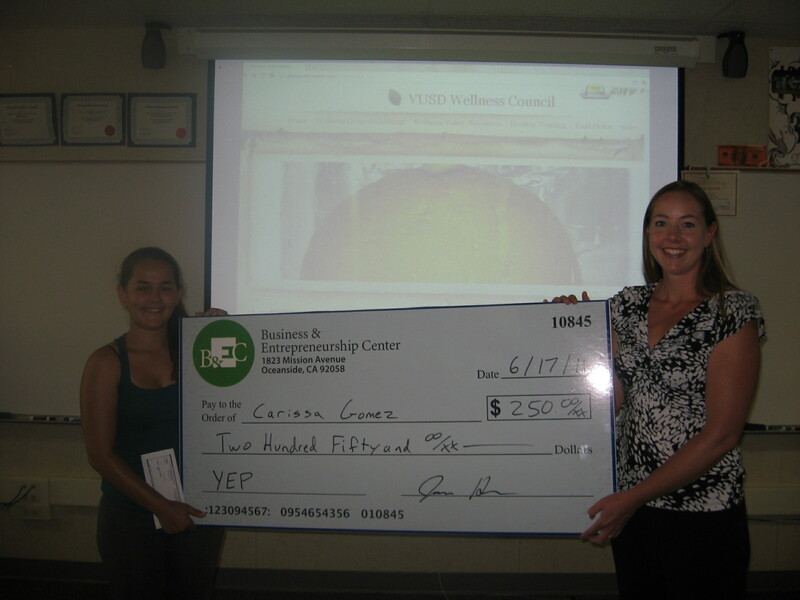 Visit the Young Entrepreneurship Program website.